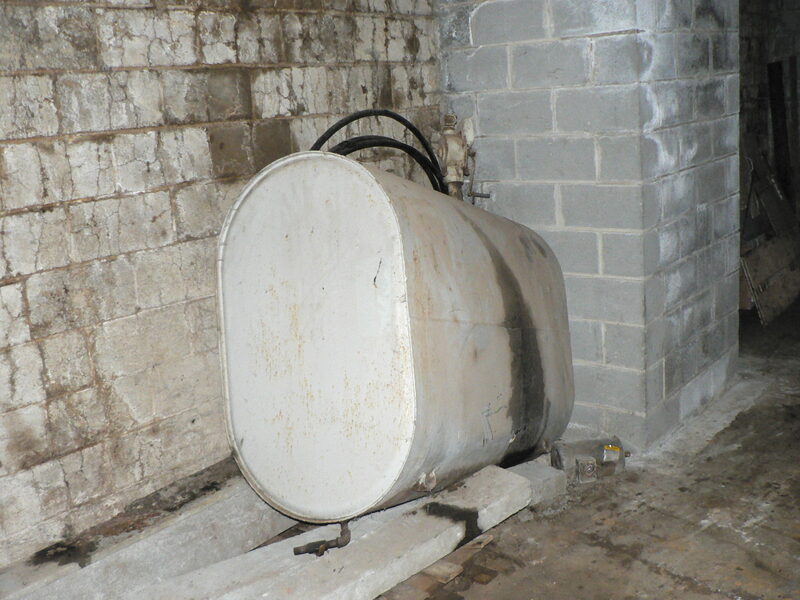 Summary: An overfilled heating oil tank resulted in the release of a substantial amount of No. 2 fuel oil to the soils immediately adjacent to a family’s home. As a result, fuel oil seeped through the basement wall, and fumes were spread throughout the house by the forced-air heating system. A tank seam rupture caused by the over-filling of a 275-gallon aboveground storage tank (AST) supplying an oil burner furnace led to a release of no. 2 heating oil onto the unpaved dirt-floor basement of a residence in Pottsville, Pennsylvania. The release of product from the over-pressurized AST affected both the interior and exterior of the property. Vent and fill pipes located on the exterior of the house discharged product to those soils immediately surrounding the residence. The basement earthen floor, block foundation and concrete AST pad were directly impacted. After another company conducted initial cleanup, investigation and remediation efforts, including the excavation of soils from the basement and exterior, Brickhouse Environmental was contracted to provide environmental consulting, data assessment, and field oversight by a professional geologist in order to acquire a release of cleanup liability from the PADEP. We oversaw a soils characterization sampling from the soils within the basement and along the exterior of the house. Post-excavation soil grab samples were taken from the sidewalls and floor of both areas of excavation to demonstrate attainment of the statewide health standards. Sixteen grab soil samples were extracted in the field, placed in laboratory-supplied glassware, and submitted under chain-of-custody to a laboratory for analysis of PADEP No. 2 heating oil parameters. The results of the soil characterization analyses indicated that all sixteen post-excavation soil sample laboratory concentrations taken from the sidewalls and floor of the excavation were detected below statewide health standards.